Moving to a new place frequently brings the conflicting emotions of stress and excitement that reflect the complex reality of transitioning to a new life stage. 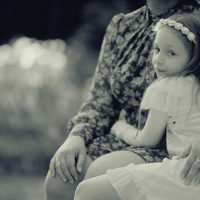 Relocating when parents share child custody is quite a bit more complicated, and may require court intervention if procedures are not followed or disputes arise. Parents understandably want to live as close as possible to their children if custody is shared, both to facilitate the exercise of parenting time, and to make the logistics of child exchange easier. People seem to be moving, and moving great distances, with greater frequency as the past limitations of location and communication are overcome by modern technology. However, Florida has a strong preference for promoting healthy relationships and frequent contact with both parents, so relocating is now more complex as current laws start to reflect this policy. A discussion of when the relocation rules apply, what the current statute requires, and the possible consequences for not adhering to these provisions, will follow below. When Does the Statute Govern a Relocation? proposed relocations or relocations pending before a court as of October 1, 2009. While many custody orders, at this point in time, would squarely fall within the provisions of this statute, some custody orders that pre-date October 1, 2009 will still be valid, and subject to the less stringent rules previously applicable. In addition, the current statute exempts the application of its rules if the provisions conflict with a custody order that existed on October 1, 2009. What these complicated rules mean in practice is that anyone with a custody order that was issued before 2009 needs to speak with an experienced family law attorney to determine how the law on relocation applies in their case. court approval of the move. Note that while the law does not specifically require court approval if the written consent contains the legal formalities outlined in the statute, to reduce the likelihood of future litigation, it is best to have the relocation agreement approved by the court even when a dispute does not exist. Violations of these statutory requirements are taken quite seriously since they involve direct interference with the other parent’s ability to exercise their parenting time. Violations subject a parent to contempt and other proceedings to compel the child’s return, and can be taken into account in any legal action seeking the establishment or modification of a parenting plan or time-sharing schedule. Further, in cases where this statute does not apply, a parent that fails to petition for a modification of the custody order before relocating will likely face contempt actions and petitions to change custody from the other parent. Relocating with a child when custody is shared is complicated and full of issues that could trigger negative consequences if not addressed. Working with an experienced family law attorney is critical to avoiding these legal pitfalls, and the Orlando law firm of Goodblatt ∙ Leo know how to help parents navigate these delicate situations and minimize conflict. Contact the office at (407) 228-7007 to schedule a consultation.